Today’s knowledge bases (KBs) capture facts about the world’s entities, their properties, and their semantic relationships in the form of subject-predicate-object (SPO) triples. Domain-oriented KBs, such as DBpedia, Yago, Wikidata or Freebase, capture billions of facts that have been (semi-)automatically extracted from Wikipedia articles. Their commercial counterparts at Google, Bing or Baidu provide back-end support for search engines, online recommendations, and various knowledge-centric services. This invited talk provides an overview of our recent contributions—and also highlights a number of open research challenges—in the context of extracting, managing, and reasoning with large semantic KBs. Compared to domain-oriented extraction techniques, we aim to acquire facts for a much broader set of predicates. Compared to open-domain extraction methods, the SPO arguments of our facts are canonicalized, thus referring to unique entities with semantically typed predicates. 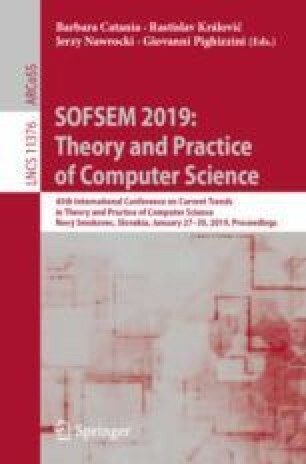 A core part of our work focuses on developing scalable inference techniques for querying an uncertain KB in the form of a probabilistic database. A further, very recent research focus lies also in scaling out these techniques to a distributed setting. Here, we aim to process declarative queries, posed in either SQL or logical query languages such as Datalog, via a proprietary, asynchronous communication protocol based on the Message Passing Interface.